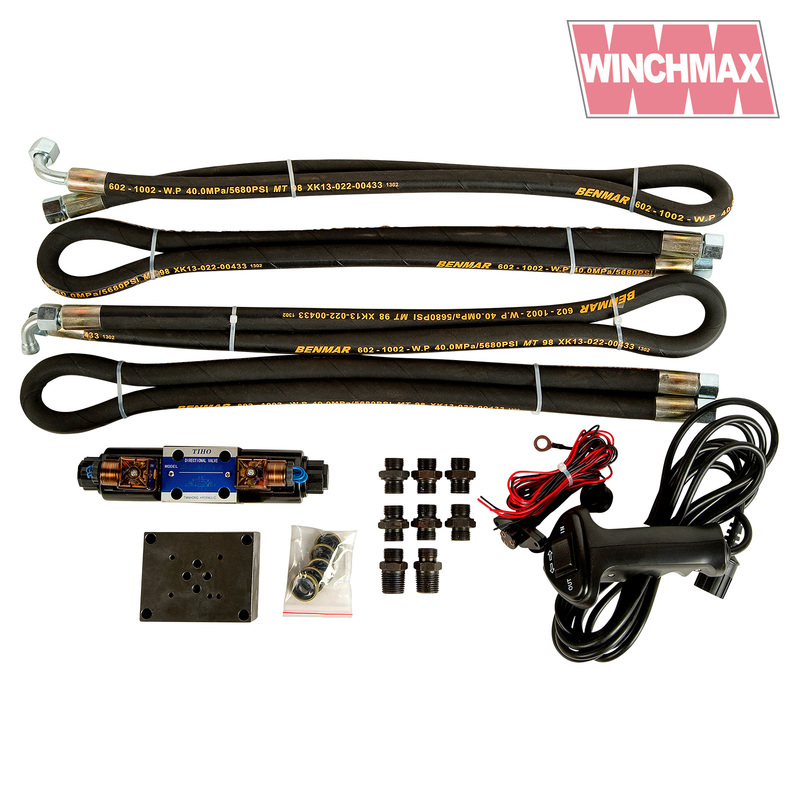 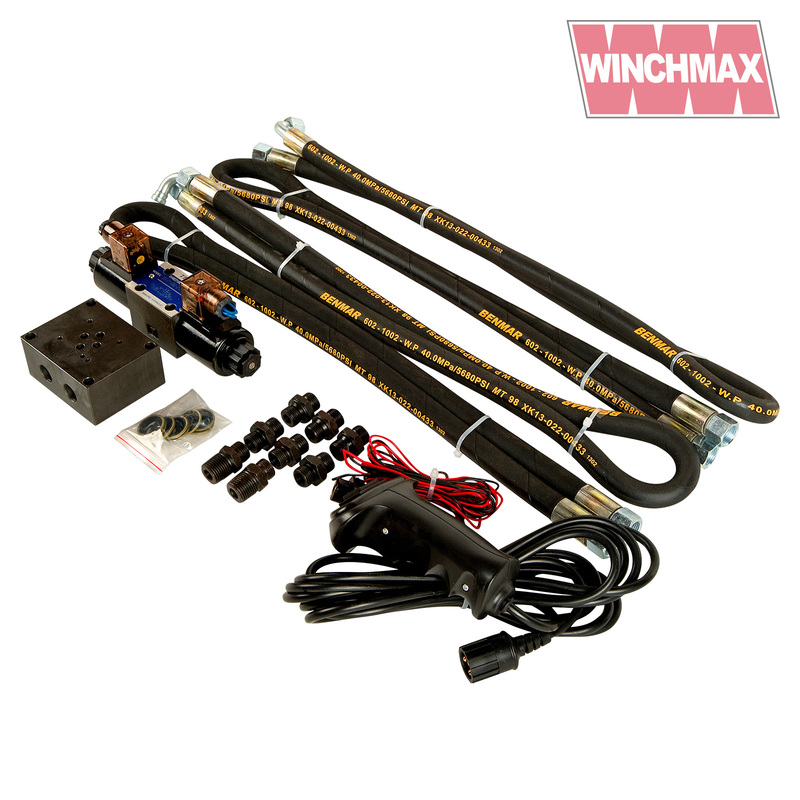 Hydraulic recovery winch installation kit. 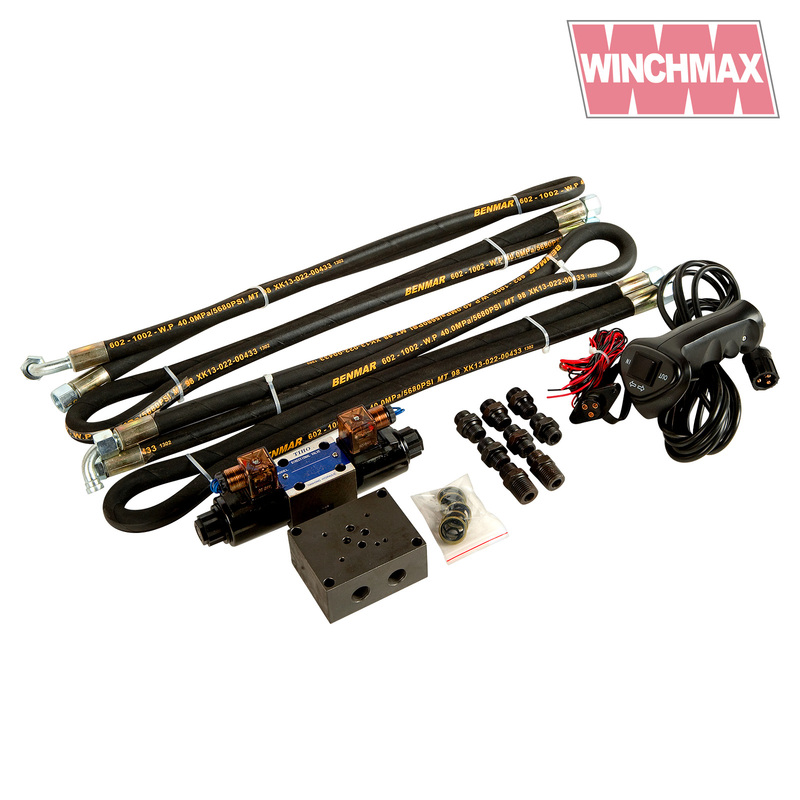 The solenoid operated hydraulic control valve supplied with this kit is compatible with our range of wireless remote controls. 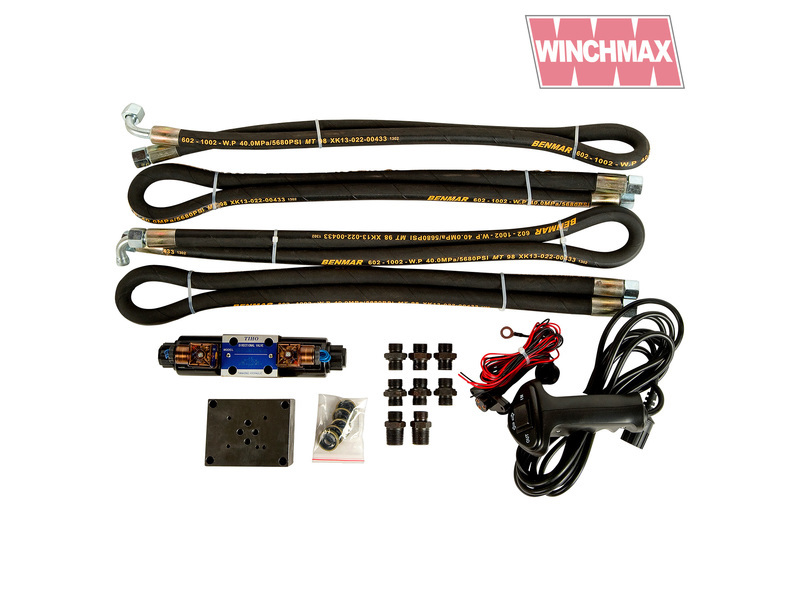 See separate listing for details. 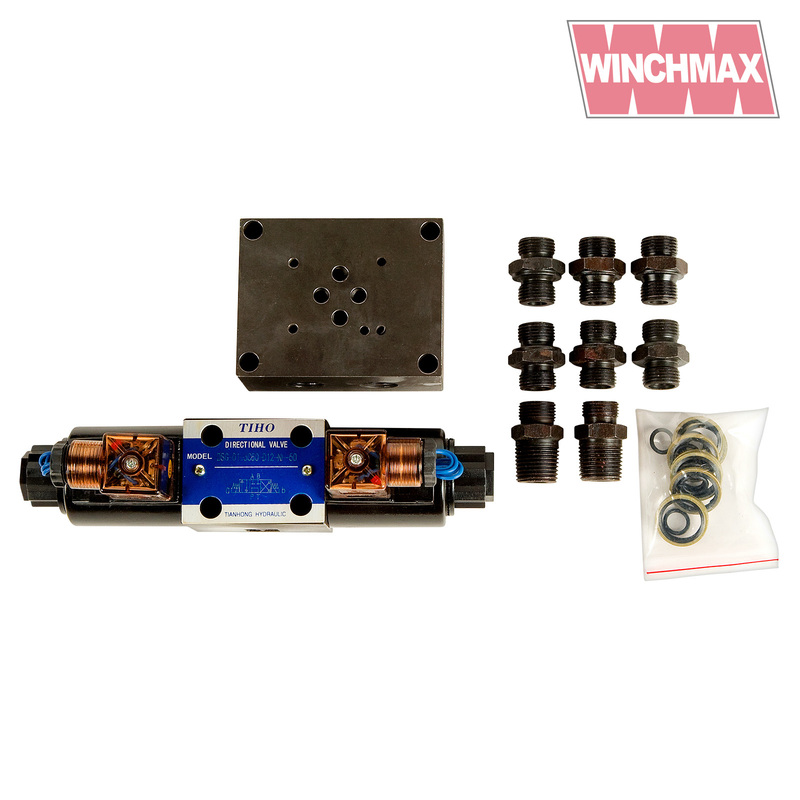 Yuken UK LTD Type DSG-01-3C60-D12-N1-50 Solenoid Operated Directional valve 3 position spring centered. 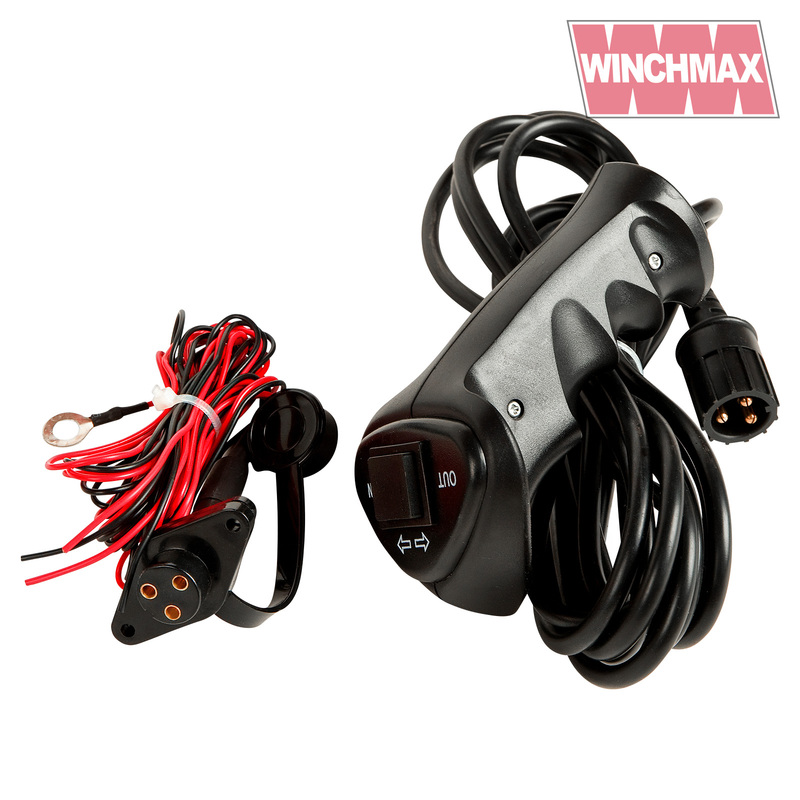 Plug in connectors with integral red LED indicator light.